Believe it or not, character design book is here! 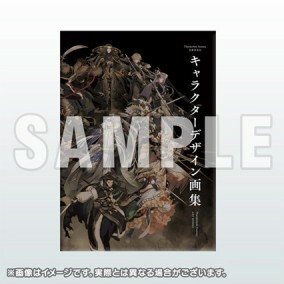 The Thunderbolt Fantasy: Sword Seekers character design book will be here, in summer 2016! The art of "glove puppetry" appeals to young and old alike; it's so popular in Taiwan that they often say "the whole world knows about it." Gen Urobuchi has immersed himself in every aspect of the Thunderbolt Fantasy: Sword Seekers production, creating the premise, script, and even acting as the supervising director of this action-packed puppet drama. And though the series has just started to air, a book chronicling the character design for this seminal work will be released in summer 2016! The book contains the design illustrations for all 14 characters, juxtaposed with photos the actual puppets used in the series. See for yourself how closely the puppets' costume and expressions resemble their intended design, as well as any embellishments that may have added. An art book with astounding visuals, this is one collection you won't want to miss! ・This is order is the reservation of a product we intend to have at Comic Market 90. Please be aware that your reservation cannot be cancelled. ・The Nitroplus Online Shop cannot answer Comic Market 90 related inquiries.